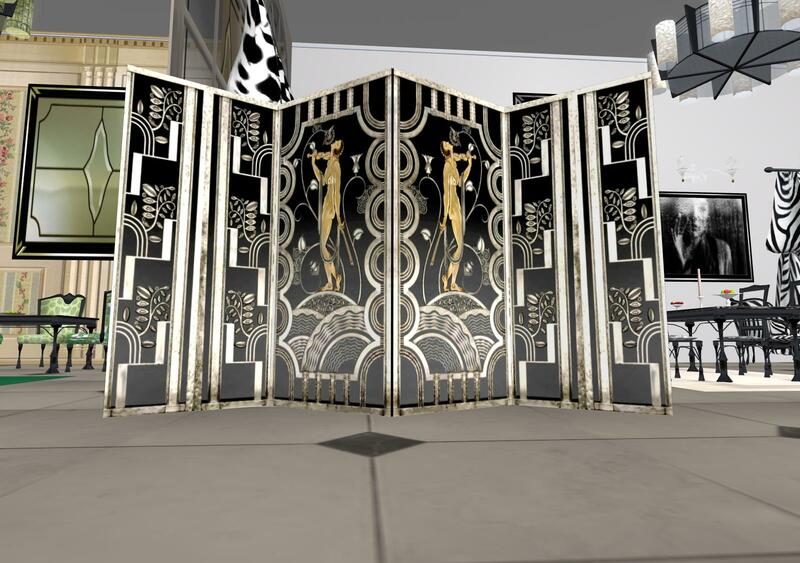 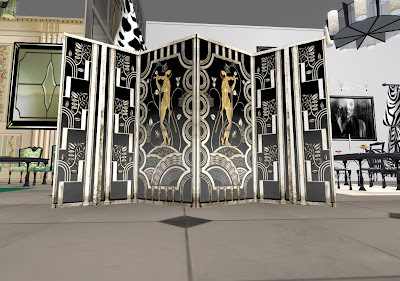 Jeannie Moonflower's Bygone Days Antiques makes some of the very best reproductions of antiques from major decorative periods from 1800 - 1970 in Virtual Reality. 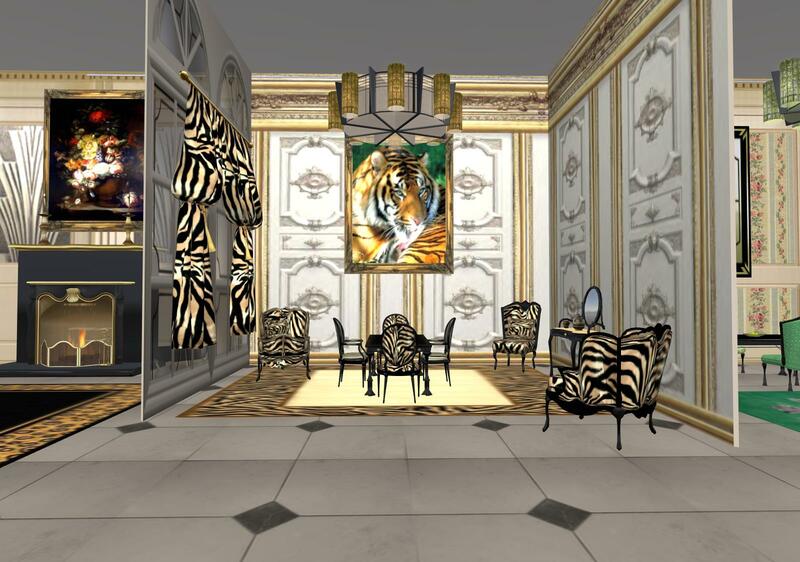 Art Deco, Victorian, French Empire and other decorative themes are some of the periods in which she specializes. 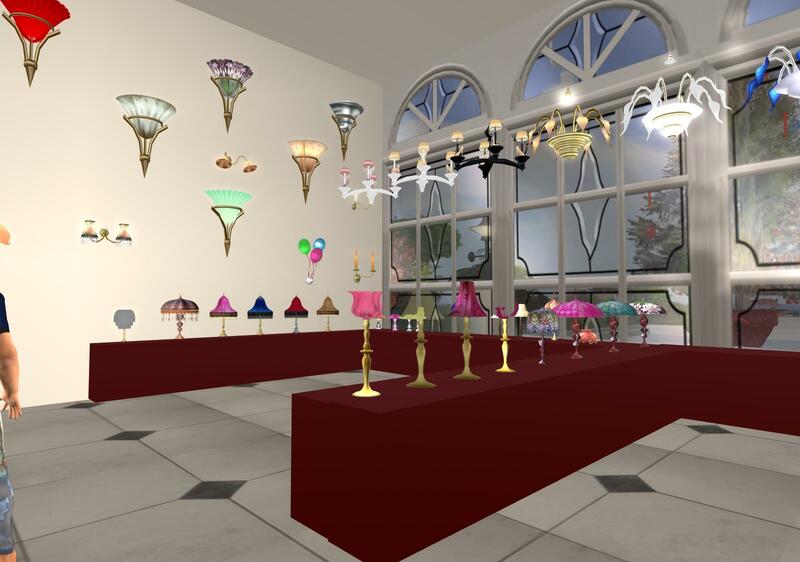 Back in 2007, when I first met Jeannie, she owned several large showrooms in what must have been an entire full Sim in Second Life. When I visited her Second Life showroom yesterday to buy some low-prim lighting fixtures for my new gallery (you have never seen good low-prim furniture unless you see what Jeannie can do), I noticed that her land space had dramatically declined. Although she was still putting furnishings out, she was relying on rez vendors to display her items. 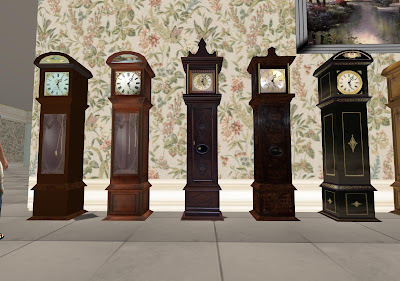 There are many authentic looking Grandfather and other floorclocks in a wide range of styles. 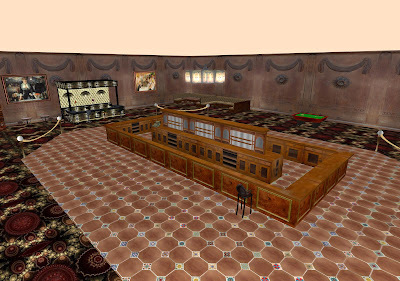 Then I noticed that Jeannie opened a large full-item showroom in InWorldz, one of the larger Open Grid worlds where land costs a fraction of Second Life to purchase and maintain. 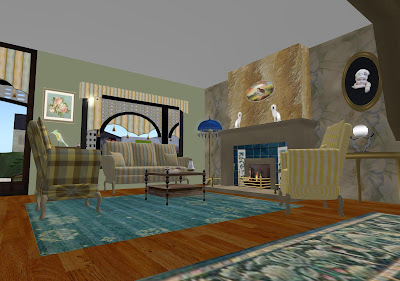 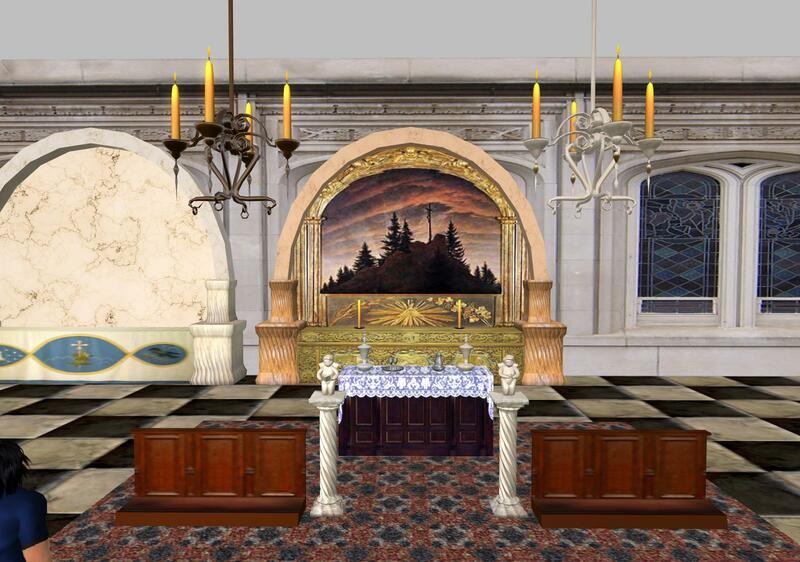 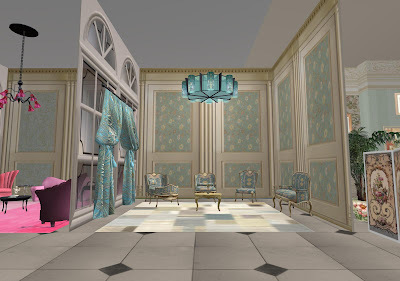 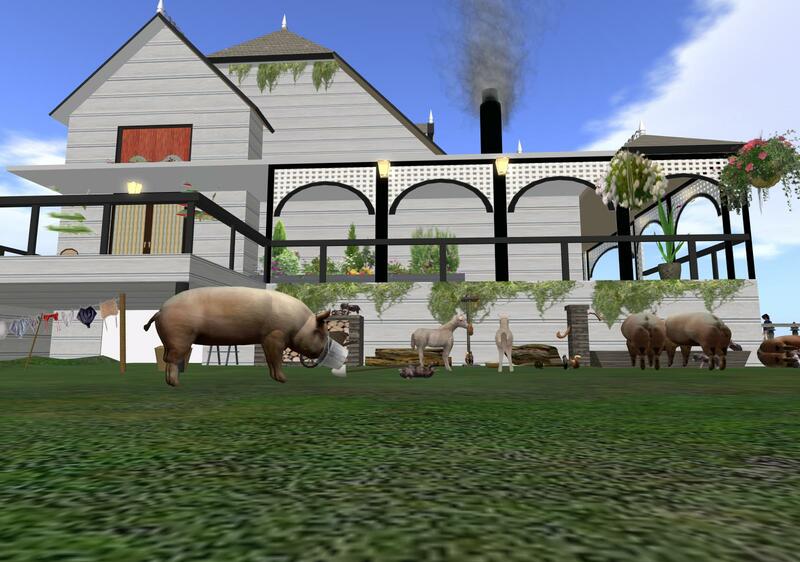 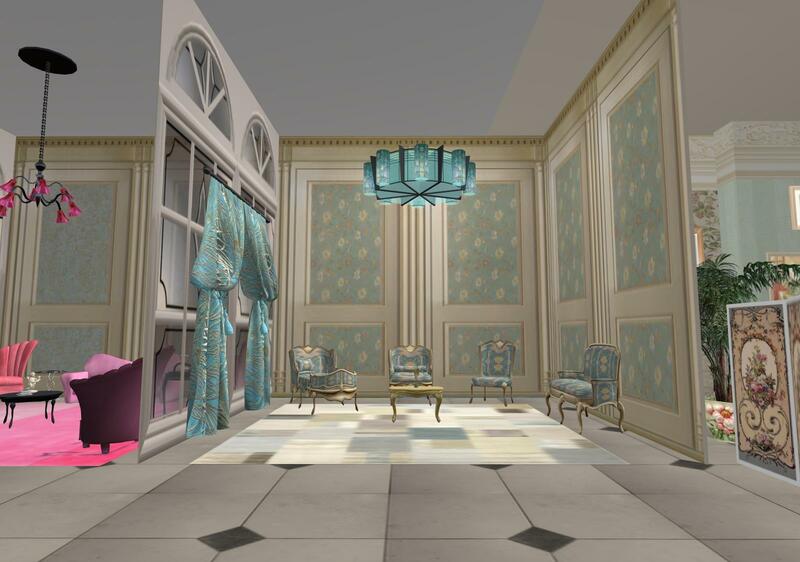 Jeannie offered to send her furniture to Second Life buyers after viewing them in InWordz. What a great idea! This saves on cost, but lets Second Life residents see what they want to see in a proper setting before they order it. 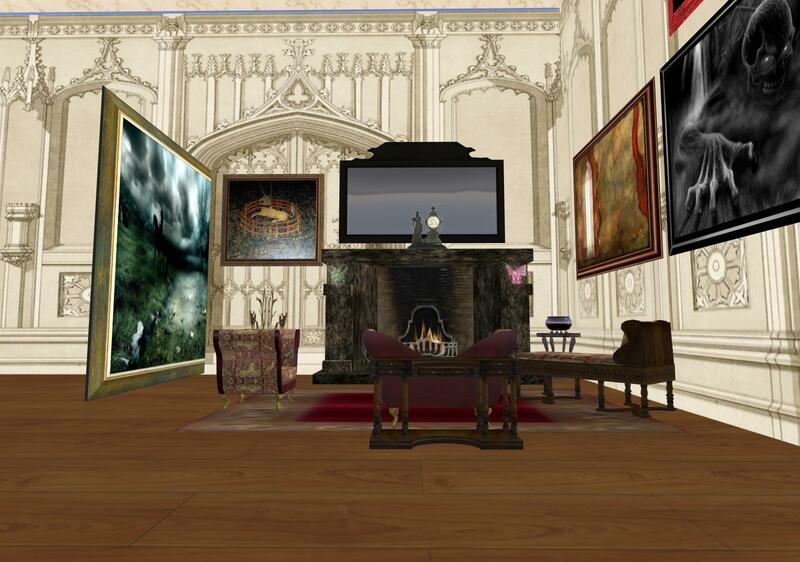 Julia Hathor, owner of Creative Fantasies, has similarly moved her Winter Sim to InWorldz. The Creative Fantasies Winter Sim was in my opinion the greatest holiday season build in Second Life-- and still can exist on a lower-cost open world. Bygone Days church furnishings, a selection of Judaica is also avaiable.